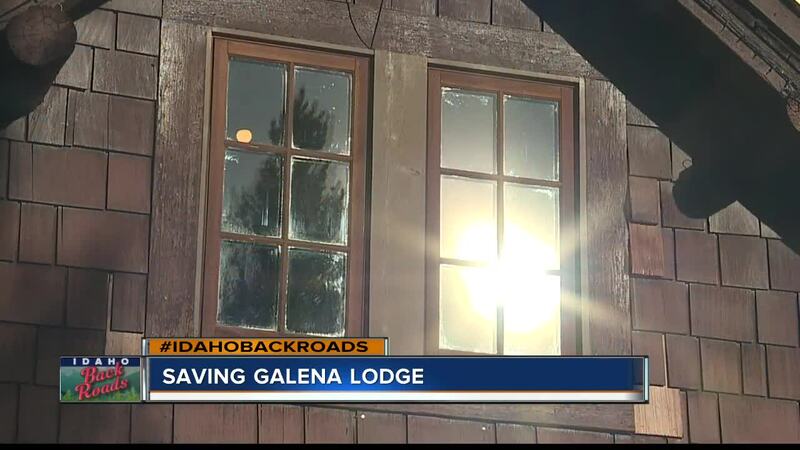 Tucked away in the Sawtooth Mountains about twenty five miles north of Sun Valley a remnant of Idaho history sits on Highway 75 called Galena Lodge. It's all that's left of a town that bustled in this rugged country before Idaho was even a state. "So many things happened here," said Jenny Busdon, Founder of Help Save Galena. "I mean there were a lot of people living here because of the mines"
But eventually the ore dried up and the miners moved on. After a series of ownership changes, a new owner built this lodge using remnants of the outbuildings that remained. The lodge serviced mostly hunters and anglers until the seventies when yet another owner developed roads and trails for cross country skiing. The forest service rejected plans for a large Nordic resort, and by the early nineties, the lodge was abandoned, in disrepair, and in danger of being torn down. "So you know a bunch of us cross country skiers just got together and said we just can't let that happen," said Busdon. "I mean this place is unique. It's a real special part of the Sawtooth Mountains and Idaho. Everyone loves this place. So that's when the Help Save Galena campaign began." Busdon is living proof that dynamite comes in small packages. She spearheaded a campaign that overcame a major challenge, raising three hundred twenty-five thousand dollars in less than three months. Donations started trickling in, and then one day, Jenny's phone rang and on the other end was Teresa Heinz. "And I'll never forget that phone call," Busdon said. "She said she would donate the three hundred twenty five thousand, but only with the understanding that the community would raise another two-hundred thousand for a healthy endowment." The recent widow of senator John Heinz, heir to the H. J. Heinz Company, asked that the lodge be dedicated to her husband's memory, and the senator's photo hangs prominently in the lodge which is owned and operated by the Blaine County Recreation District. The lodge offers warm shelter, food and a full service bar, along with a full service rental shop. For seventeen dollars you can access the fifty kilometers of surrounding trails and five dollars gives snowshoers access to twenty five kilometers. You can spend the day, or ski or snowshoe to one of several yurts where you can spend the night glamping under the stars. But none of it ever would have happened without the energy and commitment of Jenny Busdon, who takes great pride as she skates down the run that is named for her. Jenny and her team of volunteers continue to raise hundreds of thousands of dollars every year to provide inexpensive, family friendly recreation. "It will be here for another twenty five years, and beyond and that's the best part, that we have this little gem in the heart of the Sawtooths that will never go away."